Miyajima has been regarded as one of the three most famous views in Japan since the beginning of Edo era in 1640s. It was recently named as one of the most popular sightseeing spots in Japan by overseas visitors. 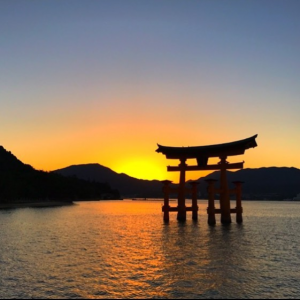 The original Itsukushima Shrine was built a thousand years ago and the torii (or shrine gate) ‘floating’ in the sea is a wonderful sight.